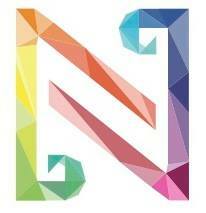 As a partner of the first edition of Novalis music+art Festival –an initiative launched in 2014 by composer Davor Branimir Vincze in the Croatian town of Novalja– we have participated in the conception of an ambitious programming that explores, through three concerts/performances, each presented twice, the issues of bringing contemporary music to new audiences, and of renewing the traditional concert format. Two issues that can and should of course help solve each other. In order to fulfill this project, we have invited two strong collaborative forces of our collective: the ensemble Secession Orchestra (in a pocket version of 11 musicians) and the singer/performer Marianne Seleskovitch. We have been joined by two other guests of the Festival: Italian percussionist Simone Beneventi, and the German duo Leise Dröhnung. Novalja is a highly touristic town, that attracts young and cosmopolitan vacationers every summer. Although the city has been built on Roman ruins that are still visible, and welcomes art galeries, the cultural life for the tourists is mainly catalyzed by the many beach clubs. Kalypso Club has been a pioneer in that field, being the first one to open on the famous Zrće beach that has since become home to many discos. This was the venue where we performed the Dances & Trances concert, that played with the expectations of the dance floor’s audience: the usual binary pulsation transformed into a refined rhythmical game, and the nocturnal ritual of clubbing faded into shamanism. 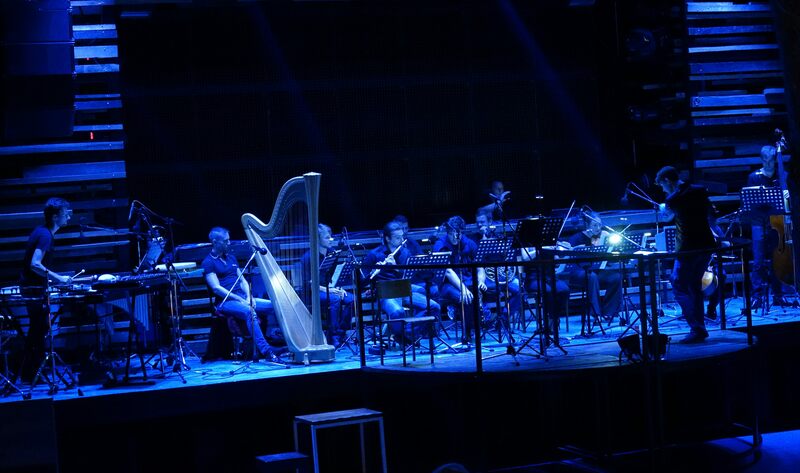 From Steve Reich’s overpowering repetitions to Salvatore Sciarrino’s ironical pastiches, from Bernhard Lang’s computations to Howard Shore’s syncretism, et with miniatures by Kaija Saariaho as landmarks, the audience has been subjected to a surprising and explosive set of pieces. The concert, conducted by Clément Mao – Takacs, was illuminated by atmospheres conceived by Aleksi Barrière: the electric light of diode and the compulsive beams of the Sharpy fixtures made visible a new physical and musical architecture, and extended this very special experience. This concert has also been performed on the square of Trg Ruža vjetrova in Novalja. On the occasion of the Festival’s partnership with the open-air cinema ‘Hollywood’, we have crafted with artistic director Davor B. Vincze a program ‘focused’ on the relationships between contemporary music and video art, that have recently given birth to many fruitful collaborations. This Nouvelle(s) Vague(s) concerned was structured around videos created as visual interpretations of musical works (such as the one Linda Weinmann shot for Davor Vincze’s Inflection Point), music written to ‘complete’ existing videos (Remmy Canedo’s electronics for Corinde Durand’s Naufrage), and audiovisual works created in a collaborative fashion (Stargate, by composer Bernd Härpfer and video artist Pascal Fendrich). 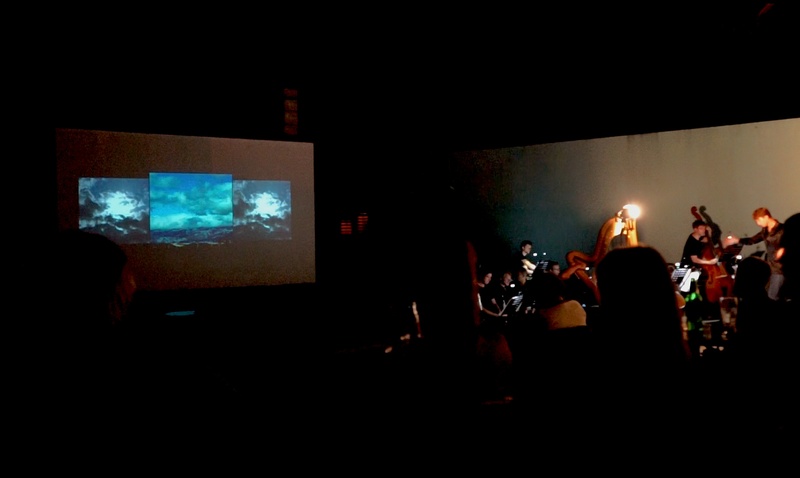 These older works where intertwined with new scores commissioned for this edition of the festival: Mu-Xuan Lin composed an orchestral soundscape for a video by Claudia Joskowicz, and Kim Ashton and Juha T. Koskinen, invited by La Chambre aux échos, wrote works inspired by various theatrical and visual materials, which then inspired new videos by Aleksi Barrière. Two other gems in this ambitious program were tributes to the strong visual impact of instrumental playing and to orchestra music’s strong evocative power, respectively: a percussion work by Wojtek Blecharz performed by Simone Beneventi, and a fourth world premiere, written by our frequent collaborator, the percussionist and composer Guillaume Le Picard. 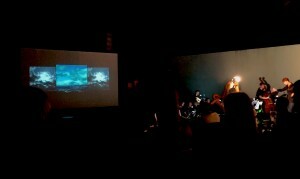 Clément Mao – Takacs conducted while videos and lighting where operated by Aleksi Barrière. 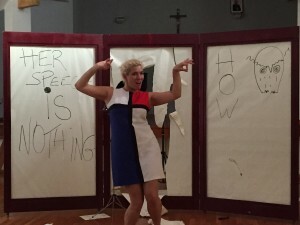 The performance Séquences is a work in progress developed by director Aleksi Barrière and singer Marianne Seleskovitch over the course of the past few years, the gradual addition of new ‘chapters’ steadily growing this a cappella ‘recital-theatre’ which also is a vocal tour de force. This time, close to is ultimate shape, Séquences welcomed in its program the world premiere of fragments from Clément Mao-Takacs’s Ophelia (Sequences and Songs), a work written for Marianne Seleskovitch’s voice. This version of Ophelia’s ‘madness songs’ from Hamlet is also a synthesis of contemporary vocal technique, and an ending point to the meditation on language, communication and trauma started by the collaborations through the other works gathered in Séquences, by Berio, Cage, Scelsi, Feldman and Isou. 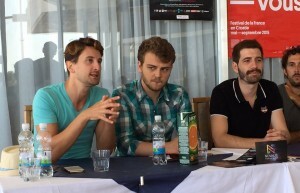 Truthful to its goal of always linking live performance to speech and dialogue with the audience, La Chambre aux échos participated in the daily round tables organized and lead by the festival’s artistic director Davor B. Vincze. Aleksi Barrière and Clément Mao – Takacs therefore discussed their experience and thoughts with the guest composers and performers, giving this new audience to discover the making of contemporary music, and its most pressing stakes. For this project, the artists of La Chambre aux échos received the STEP Beyong travel grant from the European Cultural Foundation (ECF). They also wish to thank the Music Sales Group for the loan of precious orchestra scores.